The makers of house cleaning products are charged with two tasks – creating products that can offer a deep cleaning of the indoors that will help eliminate viruses, bacteria, allergens, odor, and dust, but also will deliver this strong cleaning power in a form that will not actually make the indoor environment more allergenic by adding chemicals and toxins to the air. If the cleaning products used inside release harmful chemicals into the air, these can actually cause asthma attacks, or can cause them to increase in severity. Thus, companies that make these cleaning products are expected to produce green products that do not have these ill effects. There have been many studies about the compounds in these cleaning products. Some of these compounds are referred to as volatile organic compounds, or VOCs. These VOCs can cause many different adverse effects, especially in susceptible individuals. These adverse effects include irritation of both the respiratory irritation and skin. In those susceptible to migraines, some of these chemicals emit odors that may trigger these painful headaches. These VOCs often add to the poor air quality present in many households, which include disease-causing viruses, bacteria, and mold spores. There are also other microorganisms like dust mites, moisture from water vapor, and substances known as endotoxins. However, when VOCs are released into the air from cleaning products and combines with these substances, it is possible for them to create a third compounds that can be just as dangerous to breathe in, even if the compound levels are at or below acceptable levels. There is a particular risk to children who are exposed to poor indoor air quality from VOCs. As with adults who are exposed, children who are exposed to VOCs are more likely to be sick and to have poor concentration and lowered productivity as a result. Children also take in more air than adults when compared to their body mass, so they are more likely to inhale more of these VOCs than adults do. Children who are exposed to poor indoor air quality are more likely to suffer asthma, allergies, eye irritation and headaches. The occurrence of asthma is particularly worrying in these children, since it can be a deadly disorder if it is not handled well. The statistics of asthma and children can be found at greenguard.org. The new green products on the market are formulated to improve indoor air quality and to prevent a negative impact on the health of those who use them. In some districts, government regulations have mandated that green products be used in schools to mitigate the exposure of children and staff to VOCs. The difficulty is defining what green products actually are. Greenguard certification, developed by the Greenguard Environmental Institute, now exists to certify green products as containing natural, safe, and effective ingredients. 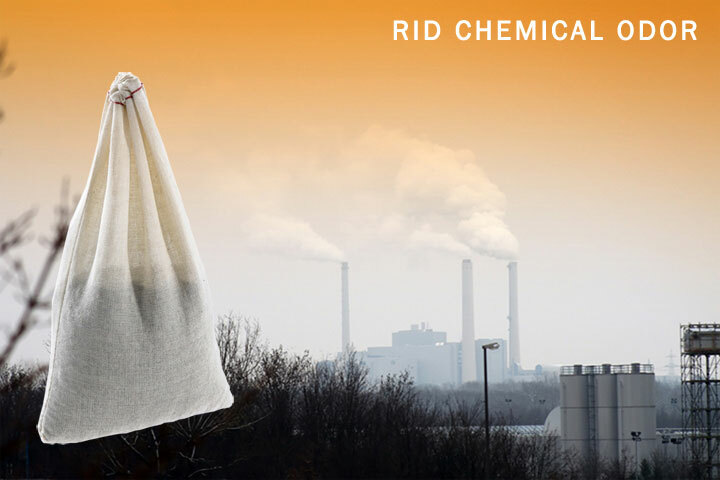 Preventing the dangers of indoor air pollution from VOCs, odor, and other harmful chemicals is possible by using fume removal products like the VaporSorb™ Vapor Absorbent Pouch, which are designed to trap, absorb, and eliminate harmful chemical odors and vapors without the use of any harmful chemicals. VaporSorb™ Vapor Absorbent Granules can also be used to cleanup gasoline spills and other solvent spills. When she’s not organizing parties, Louise Baker writes about odor removal products. She recently looked at where to get the best green odor remover deodorizers for tough chemical odor problems.